Polydactyly is a medical term used to describe extra fingers on the hands, toes on the feet or some other combination. Since the extra fingers or toes are present at birth, polydactyly is known as congenital physical anomaly of having supernumerary fingers or toes. Polydactyly is a type of genetic deformity and more common among African-Americans than other ethnic groups. Here in this article we report famous peoples, female with extra finger or toes, a common genetic disorder. These extra fingers on hand and toes on the feet can exist in different places. If extra fingers are adjacent to the thumb or big toe, they are called pre-axial digits. If they are adjacent to the pinky finger or toe, they are called post-axial digits. 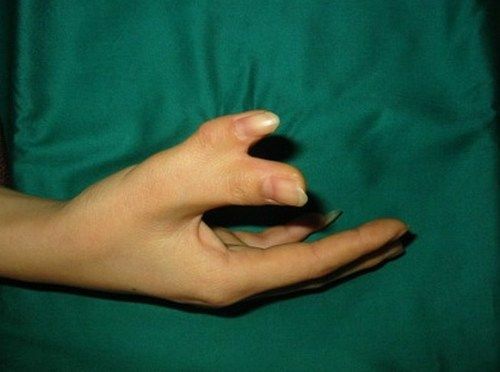 Extra fingers are not only adjacent to our normal fingers, they can also be centrally located in the hand or foot. Extra fingers or toes may be of same/different size and may be non-functional. These fingers may be fully form with bones and skeletal connections as our other fingers. Or usually just soft tissue without joints and can be easily remove. Their are thousands of cases of polydactyly in humans and animals also. Here are top 5 famous cases of polydactyly in human, female with extra finger or toes or some other combinations. Halle Berry is an Emmy, Golden Globe, SAG and Academy Award winning Actress who debuted in the year 1991. She began her stint in the glamour business as a model and then worked her way into movies. Halle Berry, top 10 perennial most beautiful woman, has a sixth toe next to her pinky toe. Oprah Winfrey, one the famous peoples with extra fingers or toes. She is an extremely popular and successful American media proprietor, actress, talk show host, producer and philanthropist. According to TMZ, Oprah had an 11th toe, but had it removed a few years ago. Gemma Arterton a popular British celebrity born with two extra fingers, one on each hand., later removed. Polydactyly runs in the family. “My granddad had it, and my dad — I’m so proud of it,” Arterton stated. “Extra fingers didn’t have a bone in them, so they just took them off.” Explained the Bond Girl actress during a television interview. Based on the usual Maria Sharapova ratio, this means Anna Kournikova also has two extra toes that are slightly more attractive but way worse at tennis. Kate also been spotted with a tiny 11th toe, and more surprising, her 11th might even have a little baby nail. Their is a little story behind this extra finger/toes, This spot on the list came down to either Kate Hudson or Honey Boo Boo’s newborn niece with an extra thumb.